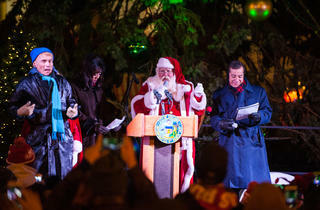 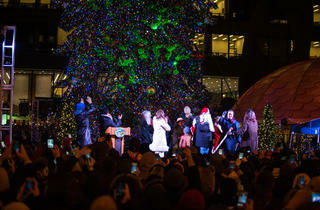 Photograph: Max HermanDee Snider flips the switch on the holiday season with the 101st annual lighting of the Daley Plaza Christmas tree on November 27, 2014. 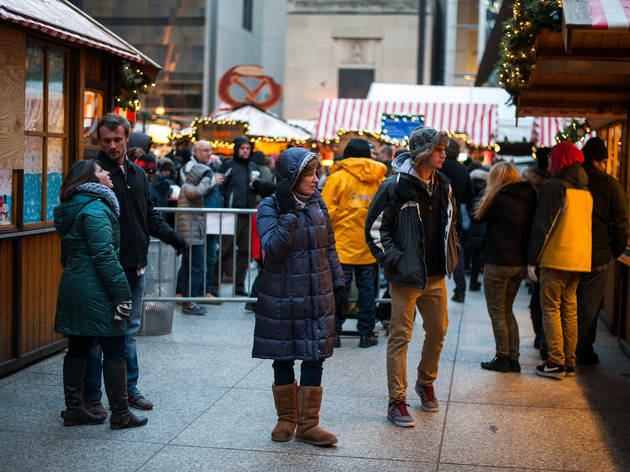 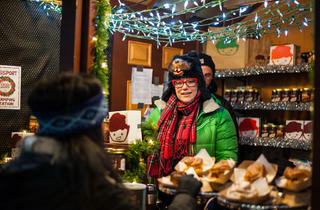 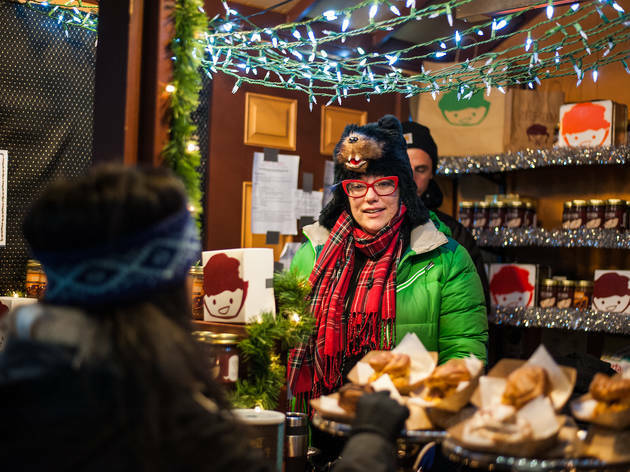 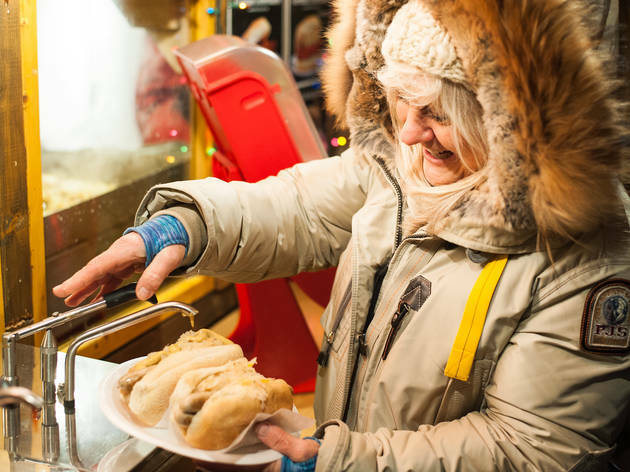 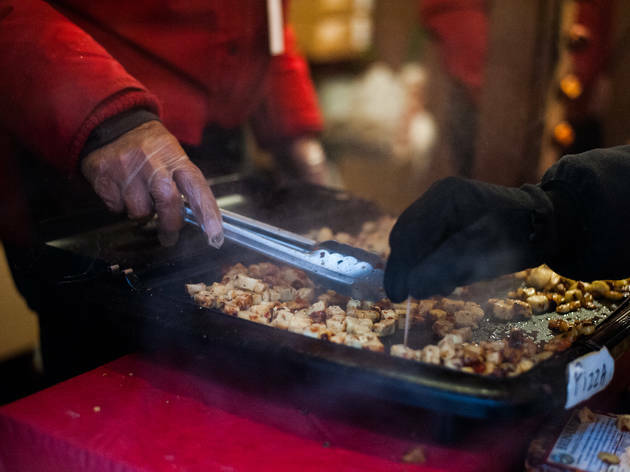 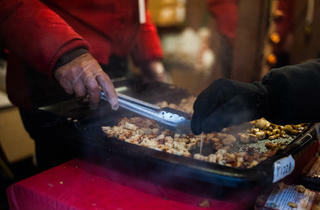 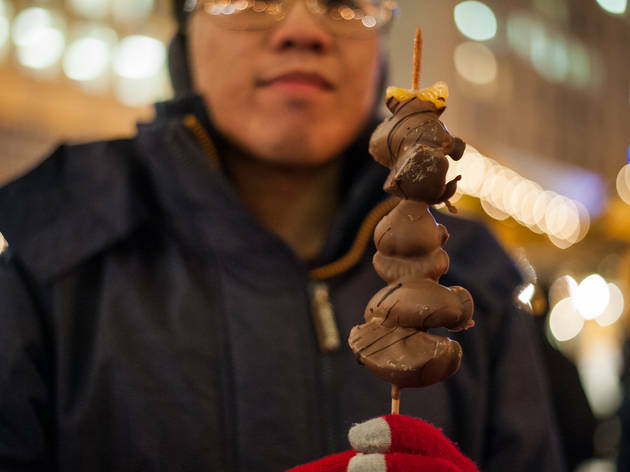 Photograph: Max HermanPeople shop at Christkindlmarket before the 101st annual lighting of the Daley Plaza Christmas tree on November 27, 2014. 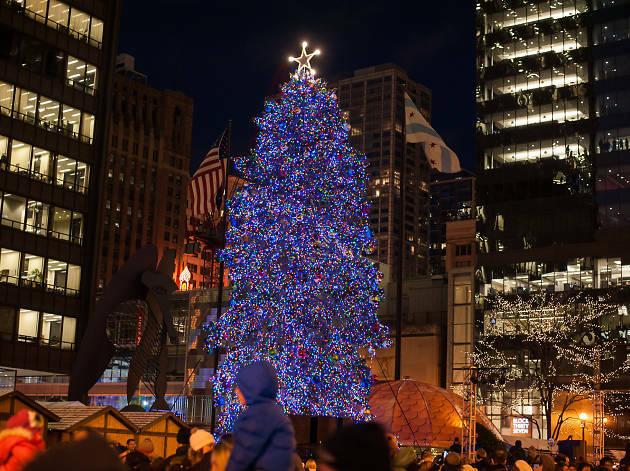 Photograph: Max HermanA 57-foot Colorado blue spruce is decorated at the 101st annual lighting of the Daley Plaza Christmas tree on November 27, 2014. 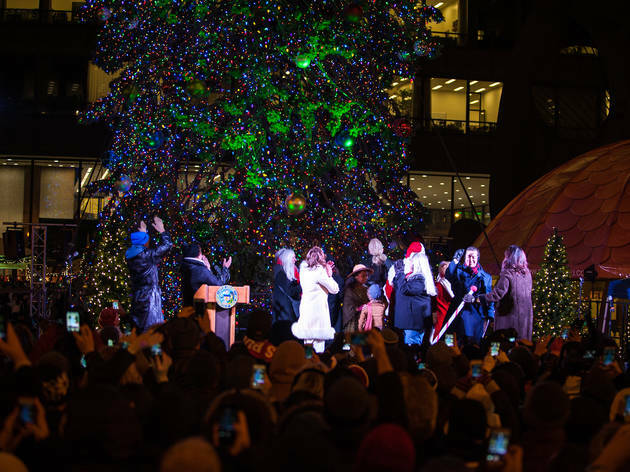 Photograph: Max HermanDee Snider of Twister Sister flips the switch on the holiday season with the 101st annual lighting of the Daley Plaza Christmas tree on November 27, 2014. 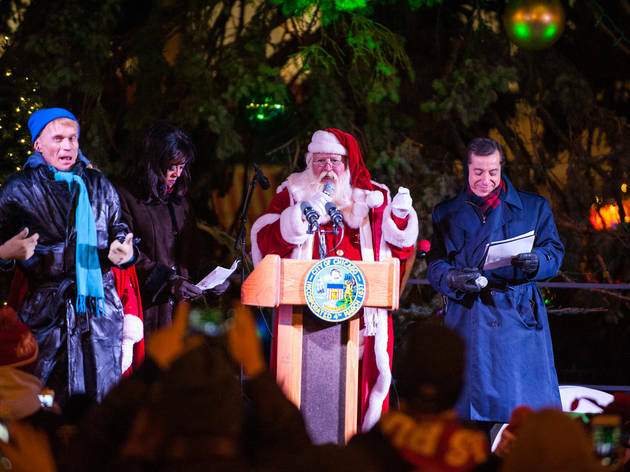 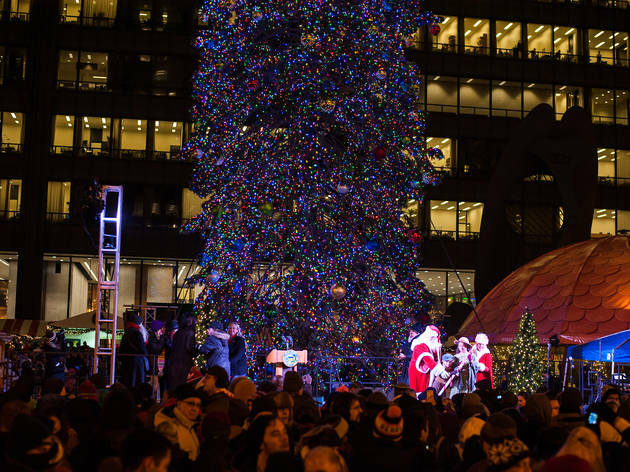 Photograph: Max HermanDee Snyder flips the switch on the holiday season with the 101st annual lighting of the Daley Plaza Christmas tree on November 27, 2014. 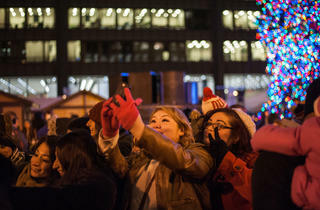 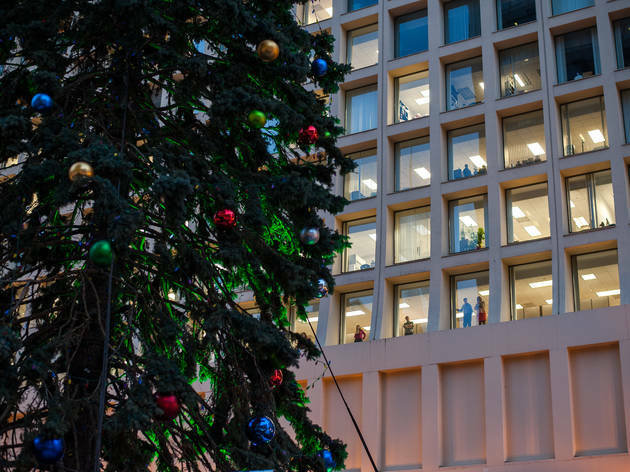 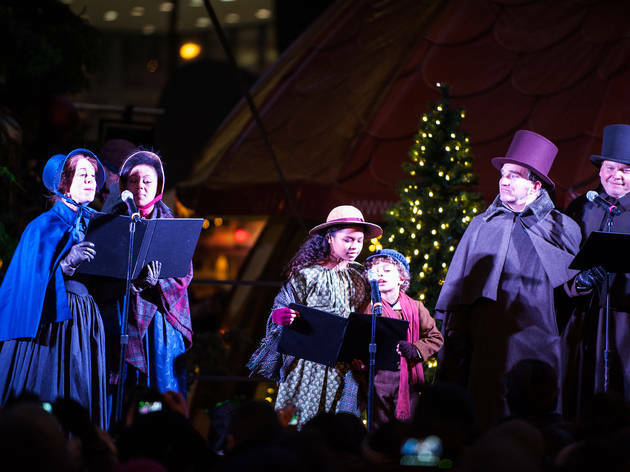 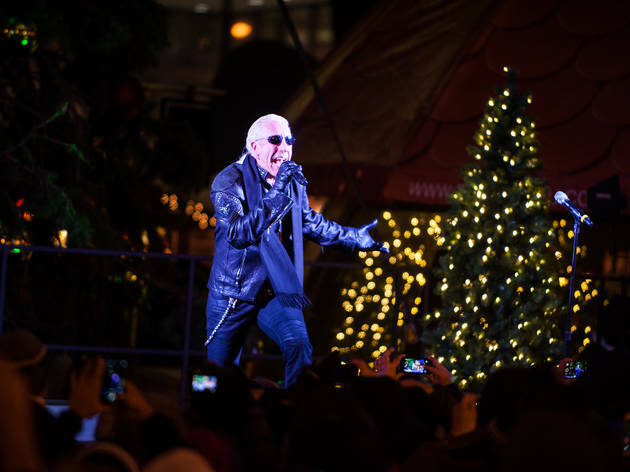 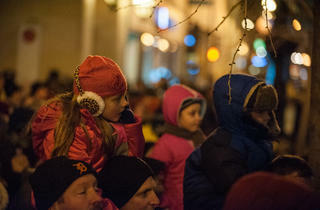 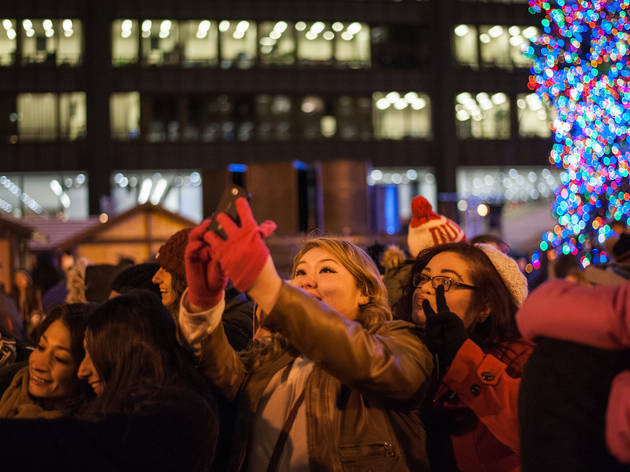 Photograph: Max HermanKids watch Dee Snider flip the switch on the holiday season at the 101st annual lighting of the Daley Plaza Christmas tree on November 27, 2014. 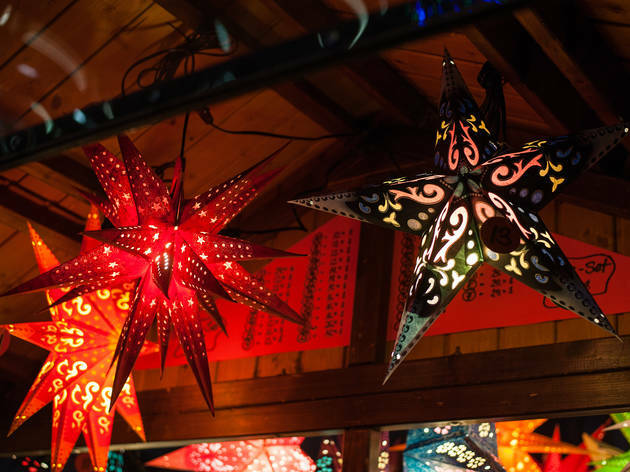 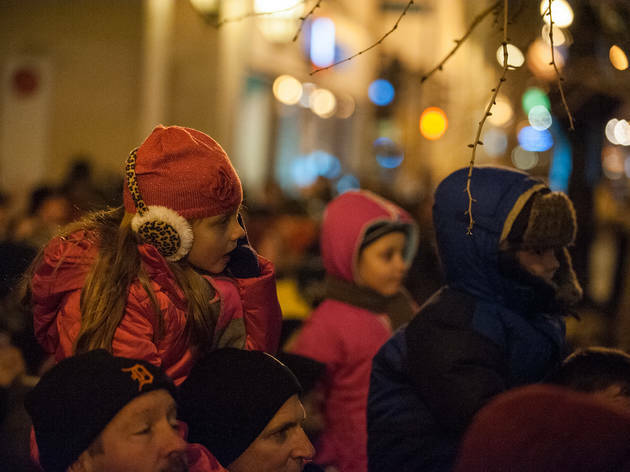 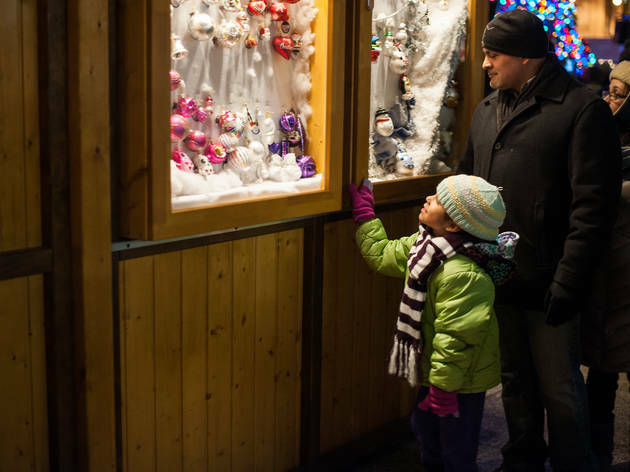 Photograph: Max HermanKids check out the decorations in Christkindlmarket at the 101st annual lighting of the Daley Plaza Christmas tree on November 27, 2014. 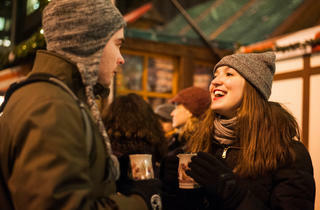 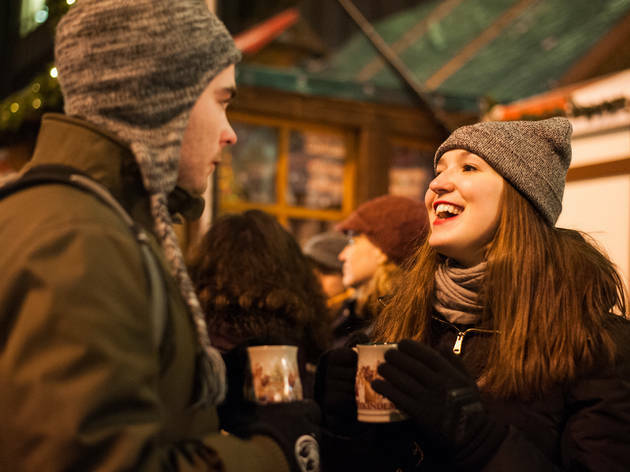 Photograph: Max HermanA couple enjoys Gl&uuml;hwein from a souvenir mug at the 101st annual lighting of the Daley Plaza Christmas tree on November 27, 2014. 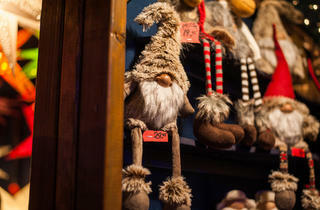 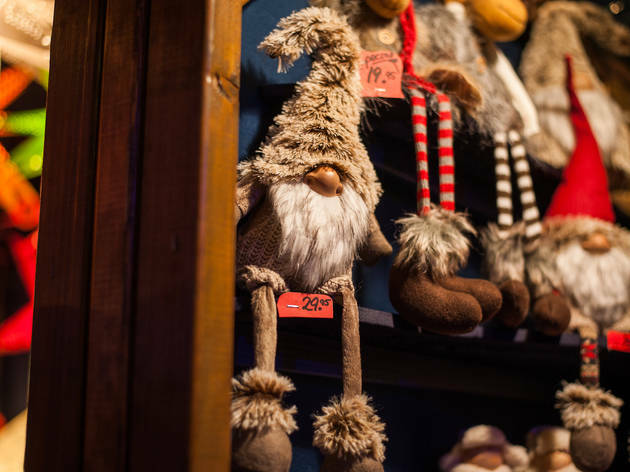 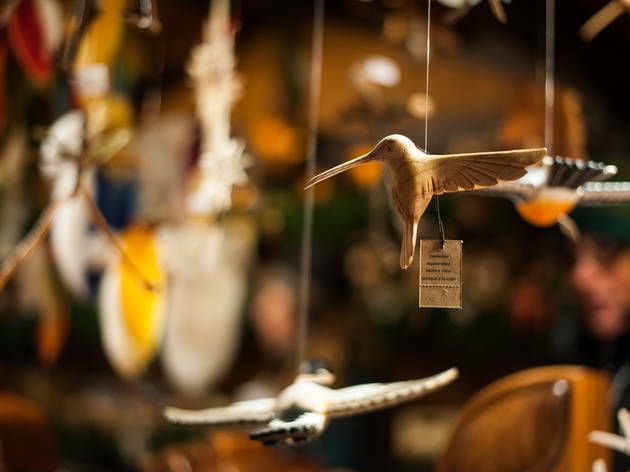 Photograph: Max HermanOrnaments are on sale at Christkindlmarket during the 101st annual lighting of the Daley Plaza Christmas tree on November 27, 2014. 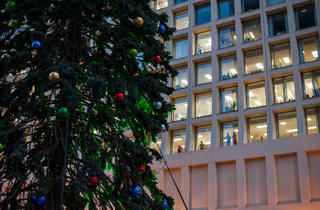 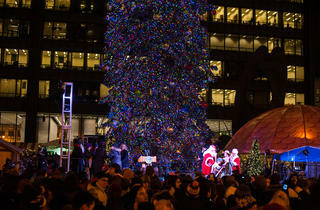 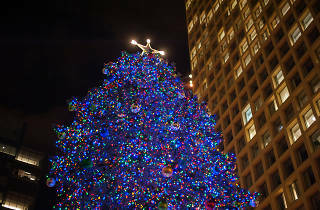 A 57-foot-tall Christmas tree was set aglow yesterday evening during the 101st annual tree lighting ceremony in Daley Plaza. 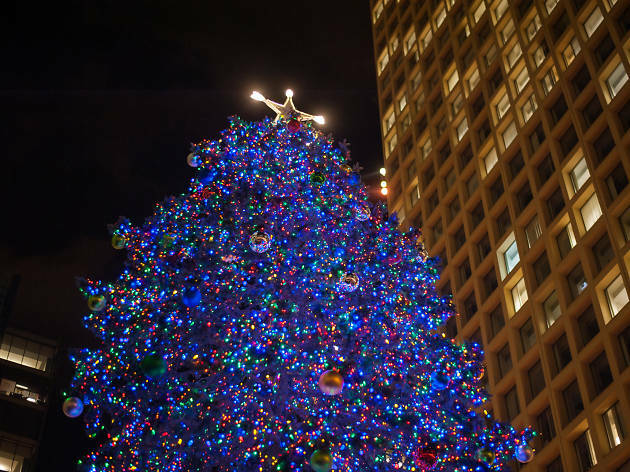 The Colorado blue spruce, grown in Elgin and chosen from 82 candidates, is not the prettiest evergreen we've seen, but the thousands of lights sure are dazzling. 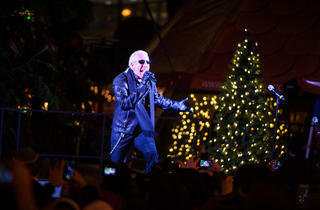 Dee Snider of Twisted Sister, Hansel, Gretel and the Grinch were the celebs on hand, one of them being a real person. 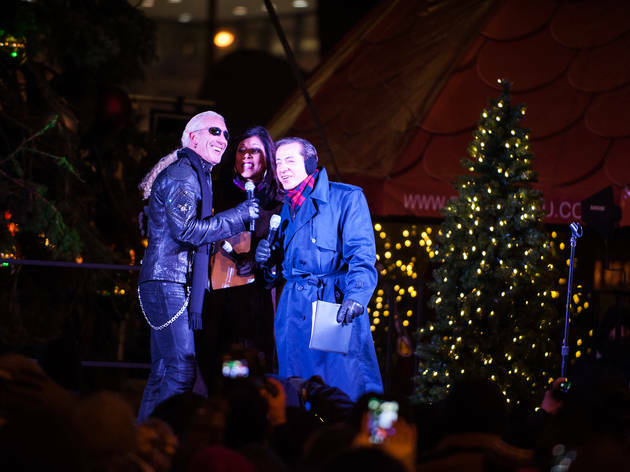 Hair metal icon Snider has been in town for his new holiday musical, Dee Snider's Rock & Roll Christmas Tale, and flipped the switch on the tree. 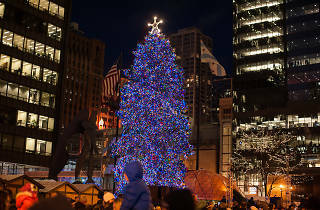 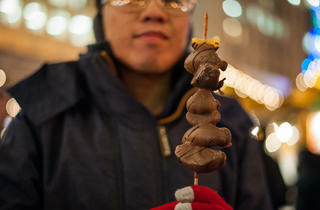 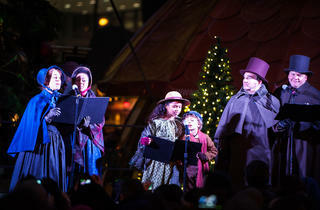 Check out the tannenbaum as you peruse Christkindlmarket in Daley Plaza. 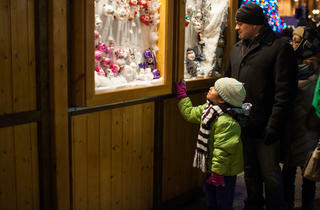 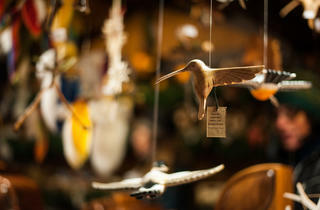 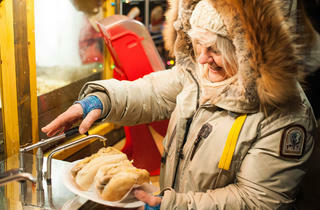 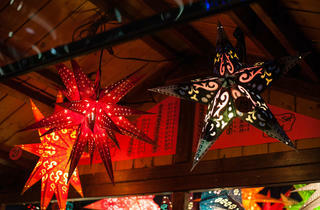 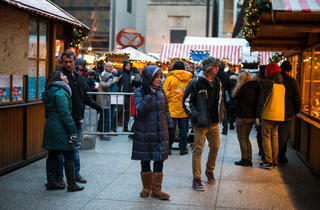 Christkindlmarket is open until December 19, while the tree will remain up until January 6.